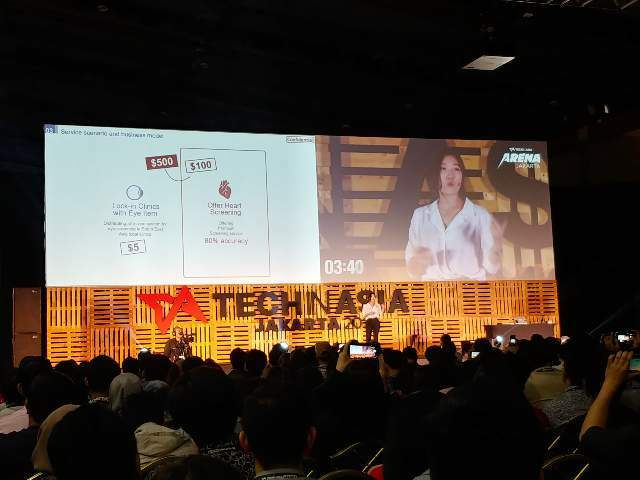 Medi Whale Inc.made a pitch introducing its technology in Tech In Asia Jakarta – Medi-Whale Inc.
Medi Whale Inc., a healthcare startup based in South Korea, has made a pitch introducing its technology in Tech in Asia 2018 Arena pitch battle as one of the six selected finalists. Arena pitch battle is a startup competition annually held at Tech In Asia conference. This year, six startups from Indonesia, Vietnam, South Korea, and Taiwan were included in the competition finalists. The event was organized by Tech in Asia, which is the biggest technology news platform of Southeast Asia. Over 500 startups participated the offline conference last year.